It was first billed as a potential preview of the NFC Championship game. Then it became the Backup Bowl. It ended as the 49ers show. Their 32-7 victory over the Chicago Bears may not be indicative of how these teams will fare going forward once their starting QBs return, but with both teams sporting top 10 defenses, it certainly shows where the Offensive Line strength really lay in this matchup. As we look inside the numbers, the 49ers OL unit can be very pleased with their performance this week as they take the number 1 ranking, their first of 2012. For the first time since OLRs inception in week 1, the weekly winner has not run away with the title, not put up a value over 0.500. 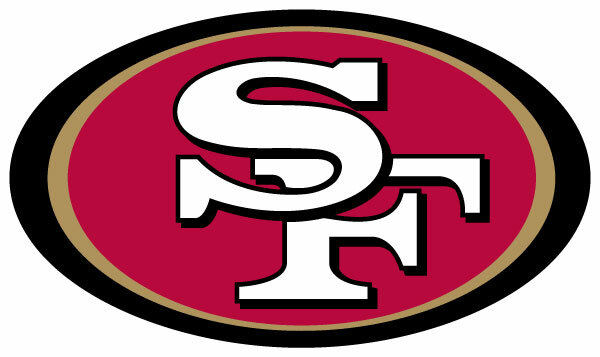 Instead, the San Francisco 49ers take the top spot with an OLR of 0.382, a score just 0.1 above the second placed Atlanta Falcons, and less than 0.2 higher than the rest of the top 6. Statistically, it wasn't a knockout performance from the 49ers O. They put up 123 rushing yards on 29 carries, none of which went for more than the 14 yard rushing TD that Kendall Hunter powered in during the 2nd quarter. They also weren't perfect in the passing game, allowing 2 sacks of Colin Kaepernick, but you really have to look behind the numbers to see the value of the OLs performance in this game. Firstly, you have to consider their opposition. In 2012, the Chicago Bears have a record setting defense, scoring almost as many points as some offenses in the NFL, and boasting an embarrassment of riches at all levels - Julius Peppers coming off the edge, Lance Briggs and Brian Urlacher bossing the middle, and Charles Tillman and Tim Jennings patrolling the backfield. Managing to keep this team, that ranks 5th in the NFL with 28 sacks, to just 2 sacks in the game is a great performance, and that Peppers didn't contribute to either of them proves how good a game LT Joe Staley had on the night. That Kaepernick was under centre rather than Alex Smith this week is another factor in why the 9ers OL performance was so impressive. With a running back like Frank Gore, there is always a temptation to put the game on his shoulders when your starting QB is missing. This of course relies on the OL performing too, as the opposition D can move a safety down into the box to give more respect to the run, and force the offense to really work hard for their ground yards. On MNF this week, the 9ers continued to have success on the ground, with their 4.2YPC a very respectable performance against a stout Chicago DL, as well as grinding out 6 rushing 1st downs in the game. Of course, Kaepernick helped his OL out plenty too. His mobility is unquestionable, but his performance in the passing game was as unexpected as it was impressive. Going 16/23 for 243 yards and 2 TDs is excellent for a backup QB against any defense, let alone the Bears. His ability to keep the D honest, and force them to respect him as a passing QB, meant the Bears couldn't simply stack the LOS and blitz the crap out of him, making for an easier night for the 9ers OL than they might have expected. But all things considered, and all calculations done, the 9ers OL takes a deserved top spot this week. It'll be hard to bet against them for the rest of the season. And post-season. On the other side of the MNF game, it was a bit of a disaster for the Chicago Bears. There is just one stat you really need to look at to get an idea of how things went: Aldon Smith - 5.5 sacks. Admittedly, the only other 49er to get on the sack list was 0.5 from Justin Smith, but the Bears just had no answer for Aldon all game. They also couldn't get the ground game going. Only 85 yards on 28 carries for a YPC of 3.0 is pretty poor, with their longest carry of 13 yards coming on a Jason Campbell scramble. Star RB Matt Forte didn't get more than 8 yards on a single carry in the game, with a total of 63 yards on 21 carries. The change of pace wasn't any better, with pounder Michael Bush racking up 9 yards on 5 carries. When a team struggles to run as much as the Bears did, you have to point the finger at the OL, and even bringing in an extra offensive lineman in Jonathan Scott didn't help. Entirely opposite to Kaepernick, Bears backup QB Jason Campbell did nothing to make the D respect him. Just 104 passing yards and 2 interceptions is pretty terrible, and meant, as they did, that the 9ers could just keep on attacking him and getting Aldon Smith in his face. The final straw really came midway through the 4th quarter, when Smith recorded his final sack of the game in the Bears Endzone and stripped the ball from Jason Campbell. OG Chilo Rachal picked the ball up, hesitated, and got tackled still in the EZ for a safety. O-Line fail.